Unlike many competitors, who were seemingly born in a gi, Eddie Cummings got his BJJ start late in life. He was born in October 1984 in New York, USA but didn’t start his training until 2010, at the ripe old age of 26. Whilst studying physics at Stony Brook University, Cummings stumbled upon a grappling class being taught in a basement beneath the school’s racquetball courts. The seemingly secretive, underground grappling classes were being run by Krishna Mirjah. Mirjah had a big focus on no-gi and competition in his classes, urging Cummings to compete in the local tournaments. The enthusiastic Cummings didn’t need much encouragement and soon began performing well in these tournaments, leading to him being awarded his blue belt after some solid wins. Many of these wins were submissions too, as Eddie is not the top of fighter who’s willing to settle with a coasting win on points. He wants that submission… and he’ll get it. It was also around this time that Cummings earned the nickname Wolverine, for his tenacity and intensity. Though Cummings himself states humorously that he’s called the Wolverine because he’s “small, furry and mean-spirited”. After earning his blue belt and having three years of solid training under his belt, Eddie moved to New York City. Whilst he moved to the city for school reasons, he was extremely interested in taking his grappling abilities further. 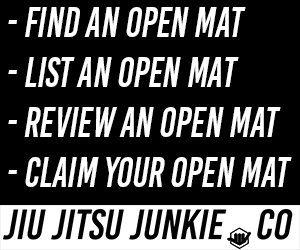 He had plenty of world-class BJJ gyms to choose from in the Big Apple. Ultimately, he chose to train at a different basement, the blue basement; the world famous Renzo Gracie Jiu-Jitsu Academy. Here, he began to train directly under the legendary John Danaher; a man who has trained and taught legends in both BJJ and MMA and has created champions. 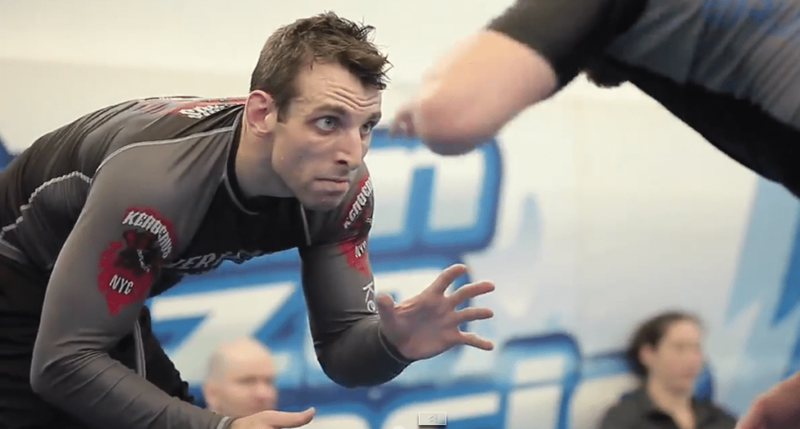 As he had started his training journey in a mainly no-gi school rather than a strict, traditional BJJ school, he already had some leg lock knowledge and experience. In the basement of Stony Brook University, leg locks were not off limits like they are in a lot of gi schools. In fact, you could say they were even encouraged; the students there were already very familiar with attacking the legs and were getting vital experience in defending and escaping from leg locks like heel hooks, knee bars, etc. that most gi trainers just weren’t getting. Despite this prior knowledge he was still a diamond in the rough, so to speak. Eddie had used this leg lock knowledge to beat the far more experienced, veteran grappler Mark Ramos at Grapplers Quest World Series of Grappling tournament in 2013. It was here that Cummings realised that there was potential there. But he needed someone to teach him the way and take his leg lock skills to the next level. The potential was there and that faint spark of something special was present, but it was John Danaher’s expertise that lit that flame and allowed Cummings to excel and really come into his own. Under Danaher’s tutelage, Cummings began to submit more experienced grapplers with ease with his leg locks. He made high level competitors look completely out of their depth by controlling their legs so well that the submission was basically imminent; there was nothing they could do, it was only a matter of time before they tapped. Eddie wasn’t the only one enjoying this leg-lock success though. Some other students of Danaher’s were making as big of a splash on the circuit, earning the group the nickname of “The Danaher Death Squad”, as they owed a lot of their success to mastermind coach, John Danaher. Many traditional BJJ gyms and schools didn’t teach leg locks, offensively or defensively. This meant that otherwise excellent competitors were completely unprepared and unequipped to deal with the leg onslaught of The Danaher Death Squad. After beating and submitting a who’s who on the competition circuit and showcasing his expertise to the world, Eddie Cummings earned his black belt from John Danaher. This was in January 2015, meaning that Cummings went from nothing, from a 26 year old with absolutely zero training to a well-accomplished and decorated black belt in around only 5 years. This is both a testament to Eddie Cummings talent and work ethic as well as the invaluable tutelage of John Danaher and the team at the Renzo Gracie Jiu-Jitsu Academy. As a black belt, Cummings has continued to be successful. For example, being invited to two Eddie Bravo Invitationals and winning them both in the 145lbs division. He has been more choosey of when and where he competes, especially choosing to compete mainly in submission-only events which he feels is much more conducive to his training style and submission-hunter mindset. As he puts it himself “If I don’t put you unconscious, I’ve lost this match”. Even after watching tons of footage of Eddie Cummings competing and destroying opponents with his signature heel hooks, his opponents still couldn’t figure out what he was doing and why he was so successful at it. If you weren’t training in the basement of RGA then you weren’t going to figure it out. This has lead to many top competitors, such as Garry Tonon for example, to seek out Eddie to work and train with him and learn how he does what he does so damn well. Eddie has since become unaffiliated and is looking to build his own brand. In mid-2018, he has released his own leg-lock DVD set that shows you his favourite attacks, defences, escapes and counters, how to set them up from scratch, how to control the opponent to open up leg lock opportunities, etc. Danaher Death Squad: Who are they?